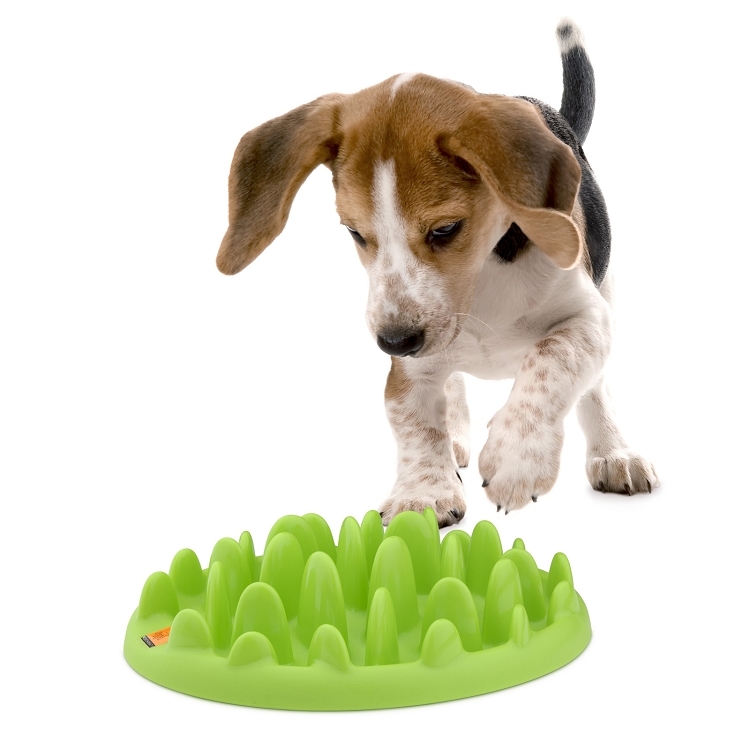 What Is The Green Interactive Pet Feeder? 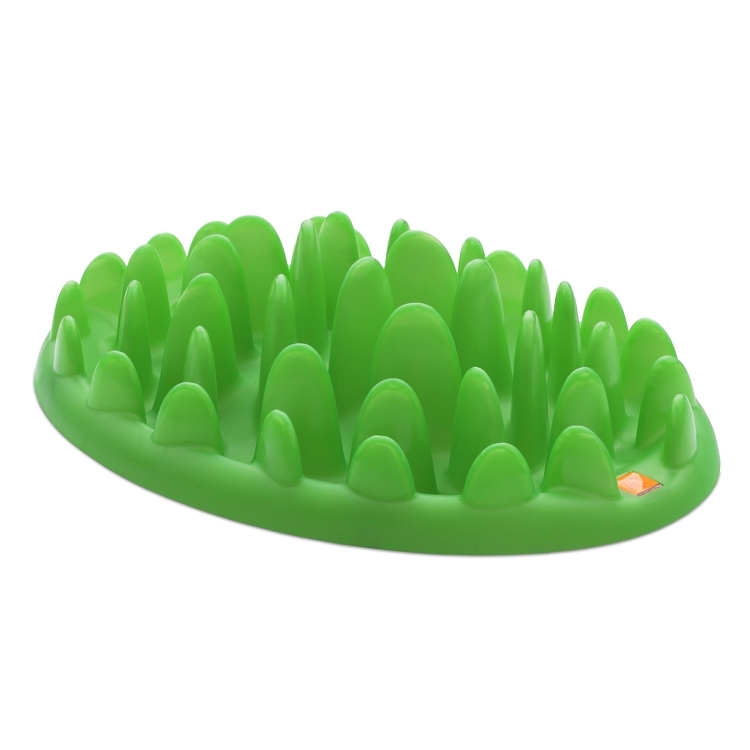 Green Feeders are a revolutionary way to turn your dog’s meal into a challenging game. Many dogs lack mental stimulation which can lead to boredom and unwanted behaviors such as chewing. 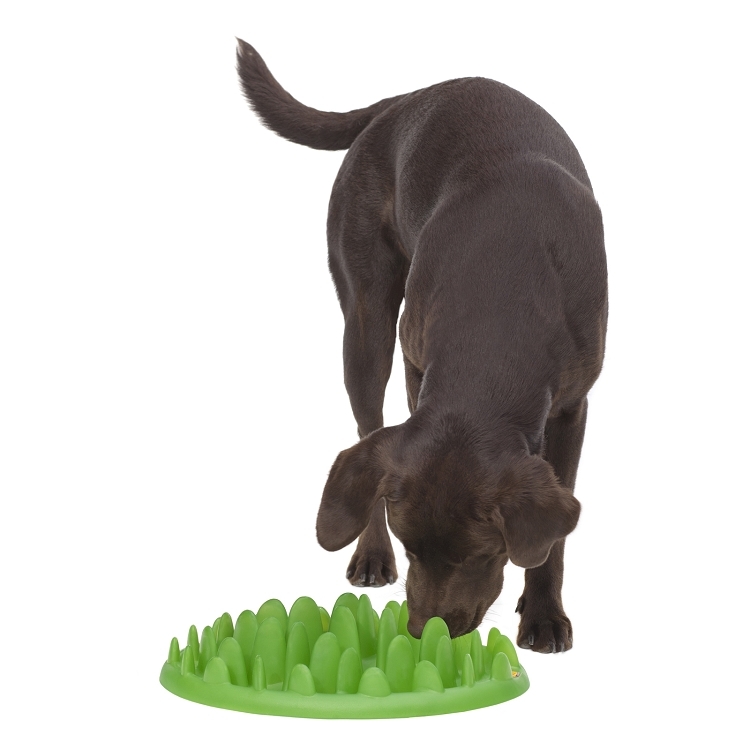 By entertaining your dog using their own food to stimulate them mentally, you can help to remove these problems. 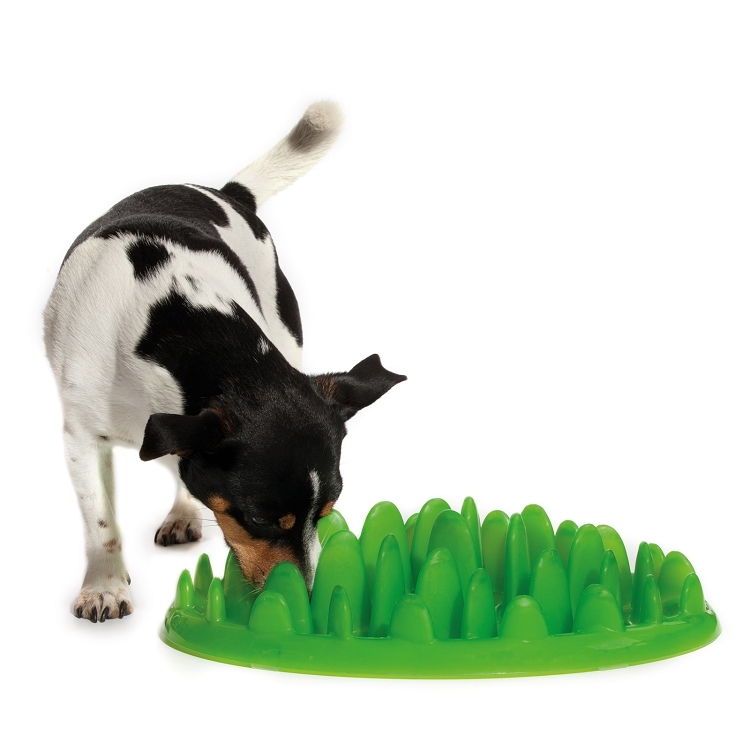 Designed like a tuft of grass, but looking like a contemporary piece of art, the desired amount of dog food can be scattered across the feeder, and after this, it is up to your dog to push the food out between the many blades of grass. The Green Mini prolongs the eating time which is proven to significantly reduce the risk of vomiting, gagging, gas and belching and also the decrease the risk of bloat, a potentially fatal disease for all dogs. This results in a happier and healthier dog. both inside and outside and is safe to be cleaned in the dishwasher.